In Paris, France we will be hosting our second TechQuest in Europe on November 19th – 20th, 2012. 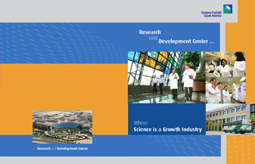 The aim of this Technology Quest is to meet the major research challenges in implementing Saudi Aramco’s strategy to expand its fuel technology and petrochemical capabilities. New research partnerships to jointly develop technology solutions are sought to address these challenges. A primary objective of this Technology Quest is to obtain proposals for technology solutions. Saudi Aramco, being one of the largest oil and gas companies in the world, is looking to partner with companies who can offer viable and innovative solutions to challenges it faces in the downstream domain. Potential partners that may find themselves able to respond to these technological challenges may fall, but are not limited to, entities in the following categories: petrochemical companies, car engine & fuel designers, universities, research institutes, SMEs, etc. Each idea will be sent to a specialist Saudi Aramco scientist who will evaluate and respond to your idea within 7-10 days. 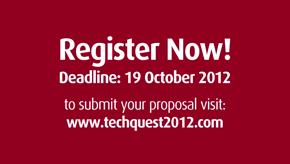 Those who submit ideas with promise for future collaboration will be invited to the 2012 Saudi Aramco TechQuest. All proposals, together with all Intellectual Property Rights therein, submitted to Saudi Aramco for the Purpose of TechQuest 2012 will remain the property of the owner and will be classified as confidential. Saudi Aramco views this venture as a partnership with successful applicants. © Copyright 2012 Saudi Aramco. All rights reserved. No portion of this website content may be reproduced, by any process or technique, without the express written consent of Saudi Aramco.